iR Memory Match iPad App - Gooii: Award Winning Website Design & App Development Nottingham. iPhone, iPad & Android Apps. Virtual Reality & Augmented Reality. 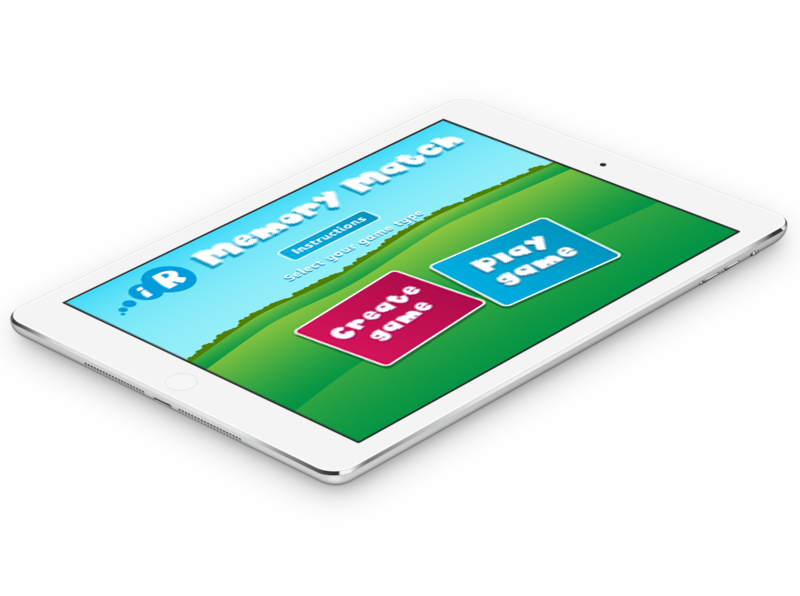 The iR Memory Match iPad app provides an effortless way for users to create their own classic pairs games. A simple concept reimagined, the app provides the ability to play games locally, as well as share them online for other users to download and play. As well as all app design and coding, Gooii built a backend database to store the online games, as well as a CMS (Content Management System) to allow Interactive Resources to view and moderate all user generated content. Download the iR Memory Match iPad app here.